A desperate pregnant woman carrying her toddler on her back struggles, walking alone from a remote village to our hospital. She is hemorrhaging as she slowly trudges through the Bwindi Impenetrable Forest. Just as she exits the forest she collapses. A passing motorcyclist notices her lifeless form by the roadside, straps her to the seat, and transports her to our hospital. We race down to the obstetrics unit. It has already been an exhausting day, having delivered 12 infants—four by cesarean section. I glance at the OB ward, again filled with mothers in labor. The nursing staff’s attention is focused on the motionless, exceedingly pale woman lying on the exam table who has been trudging through the forest; we don’t know her name or who she is. She is in shock from massive blood loss. She has no recordable blood pressure but she does have a thready pulse. Venous access is gained through a jugular vein and blood arrives. Two nurses are assigned to manually squeeze the lifesaving liquid into her listless body. Soon her pulse becomes stronger, but an absent blood pressure persists; her only hope for survival is an operation to repair her ruptured uterus. Not so many years ago this type of surgery would have been unimaginable in this area of rural Uganda. I had come to southwestern Uganda in 2001 to assist with the Batwa pygmies who had been evicted from the Bwindi Impenetrable Forest several years earlier when it was gazetted as a World Heritage Site to protect the endangered mountain gorillas. The Batwa had received no compensation and had become conservation refugees. Estimates in 2000 were that the maternal mortality rate in the rural southwestern region of Uganda was 880 maternal deaths per 100,000 live births. For every 113 births, a mother had a tendency to die in pregnancy. Over the last decade, a 120-bed hospital has been constructed that includes a maternal health unit and operating theatres. 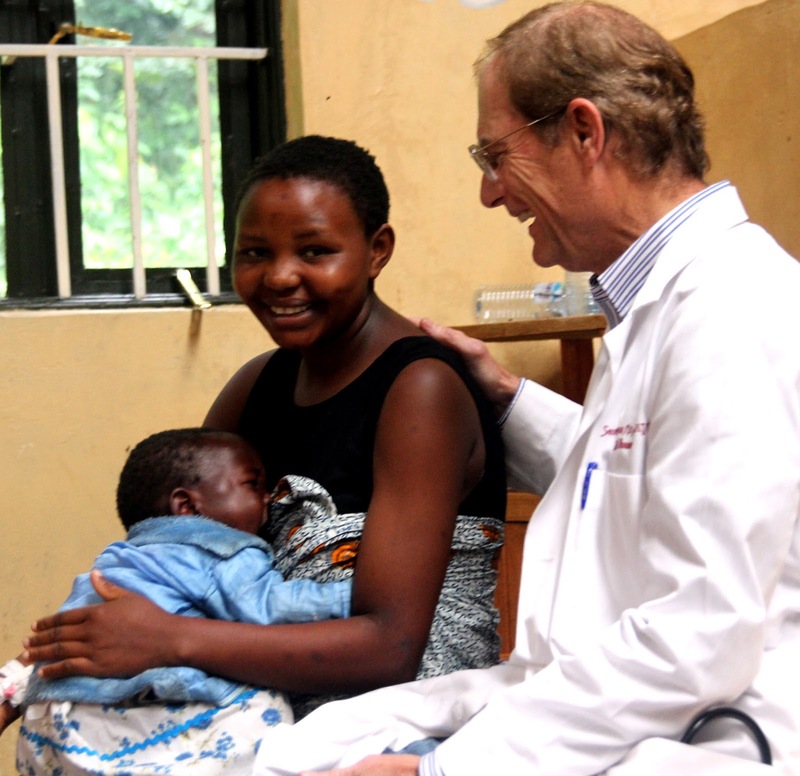 The Bwindi Community Hospital’s chief focus is on improving maternal and child health. One of the predisposing causes of this high maternal mortality rate is the long distance a mother may be required to walk to access medical care as this region of sub-Saharan Africa has no paved roads and lacks public transportation. If a laboring mother has had a previous caesarian section or has problems with the current pregnancy and begins the one- to two-day journey to seek medical care, then both the mother’s and child’s lives will potentially be in jeopardy. To address this problem, the Bwindi Community Hospital has a 40-bed Waiting Mother’s Hostel on campus, where pregnant mothers can sojourn until delivery. For a small fee of $1.25, a mother may remain at the hostel for days, weeks, or even months. Here the mother is provided a bed, access to a communal kitchen, and laundry and bathing facilities. Additionally the mothers are offered maternal education, daily rounds by hospital staff, and immediate availability to vaginal delivery or caesarian section. As a result of the Waiting Mother’s Hostel and access to quality obstetrical care, the maternal death rate has been reduced by over 60 percent. It is fortunate that this pregnant, hemorrhaging mother has found our facility, but sadly her unborn baby is dead. At surgery, a macerated infant is delivered through the rent in the ruptured uterus. Despite ergometrine, uterine massage, and over-sewing of the uterus, the uterus remains atonic and the bleeding continues unabated. A decision is made to perform a section-hysterectomy. The medical student assistant and I pray for surgical skills and wisdom, and then we begin the difficult surgery. After another hour, the bleeding has ceased and the mother has an adequate blood pressure. I return to the guest house at 2:00 a.m., the stars above sub-Saharan Africa shining brightly. The Southern Cross and Alpha Centari seem to point the way home. As I approach the guest house, I am surprised by the sounds of music; Danny’s party is still in full swing. Everyone is elated that the woman has survived the operation, and the dancing continues until the wee hours of the morning. The next day, the woman emerges from her coma and relates her story. On her difficult, lonely two-day trek through the forest, carrying her only child on her back, she knows that she is dying. Her hope is that she can make it to the hospital, and then everything goes dark. She wonders if she is dreaming when needles are being poked in her and prayers are being made for her survival. When she awakes with her toddler lying next to her, she sheds tears of happiness, rejoicing that her son still has a mother who can raise and love him. Her name we learn, appropriately, is Victoria. Aaraike includes the best Post-Natal Services , yoga, Lactation consultation, Vaccination, Physiotherapy & tele-consultation with a doctor for mother & baby.